Diego Simeone hailed the "extraordinary" Wanda Metropolitano atmosphere after Atletico Madrid snatched a last-gasp LaLiga win over Athletic Bilbao. Atleti twice fell behind in Saturday's encounter, but a late Rodrigo goal set up a grandstand finish, and Diego Godin was on hand to seal the points in stoppage time when he headed in from Antoine Griezmann's touch. The victory lifts Atleti up to second, one point behind leaders Barcelona, who play Real Betis on Sunday. And Simeone singled out the noise created by the home support as the key factor in driving his side to complete the turnaround. 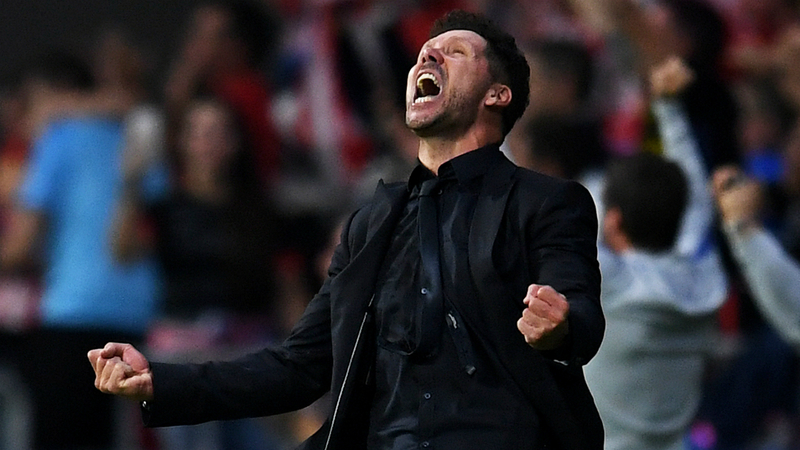 "I am so happy for the fans," Simeone told a news conference. "The atmosphere was extraordinary. "We had played a very good game against Borussia Dortmund [on Tuesday], who have beaten Bayern Munich and are top of the Bundesliga. "But working hard and never giving up, our effort and the atmosphere stand out. "The atmosphere is fantastic; this stadium is incredible." Match-winner Godin played the majority of the second half with a thigh injury sustained in attempting to prevent Inaki Williams restoring the visitors' lead. Having used all three substitutes, Simeone instructed Godin to stay up the pitch, and the Atleti boss was thrilled the decision paid off. "When Diego got injured, the normal thing would be to take him off," Simeone added. "But then we told him to go up. It is difficult to mark a player who is just standing. In the 1970s and 1980s, coaches did it."